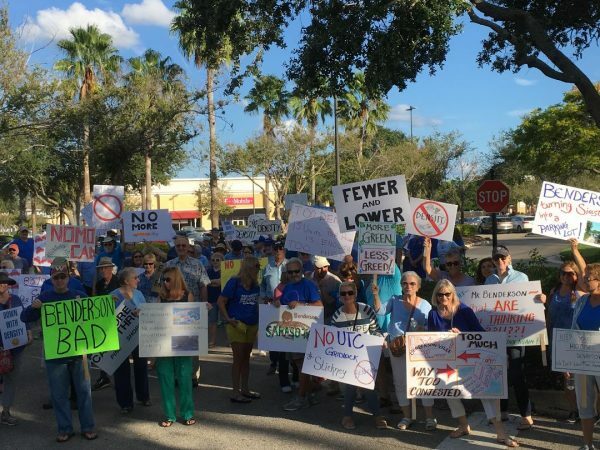 After a Nov. 15 public hearing that lasted about five hours, the Sarasota Planning Commission voted 5-2 to recommend that the County Commission approve the Critical Area Plan, rezoning and special exceptions necessary to create the mixed-use Siesta Promenade project at the northwest corner of Stickney Point Road and U.S. 41. Most commissioners said they felt the project was exactly the type of “infill” development that the county had been seeking for years. The proposal for 414 apartments/condominiums, a 130-room hotel and 140,000 square feet of retail and office space would stand on about 24 acres amid other commercial development. Only Commissioners Laura Benson and Robert Morris said they felt that the project, as designed, was too intense for its location. Morris, especially, cited concerns about the traffic congestion already common at the intersection. “I’ve got a real problem with exacerbating that problem,” he said.